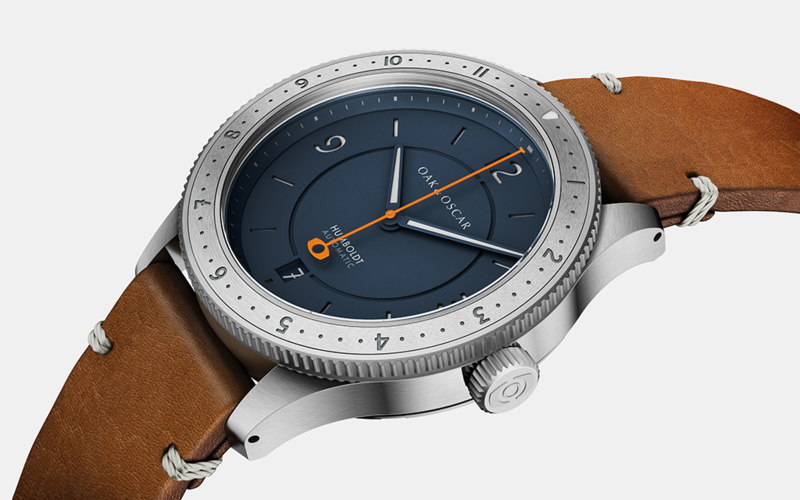 For all the micro watch brands that have been clogging up your feeds over the past year or so, their Kickstarter campaigns so often ringing with that off-putting desperation that’s become the hallmark of a certain kind of internet upstart, Oak & Oscar is refreshingly different. The Chicago-based brand has made a name for itself by producing classic watch designs with enough modern flourishes to get the attention of enthusiasts both experienced and merely budding. Their fourth offering, The Humboldt, was announced this week and will be the first in their permanent collection — previous models were released in limited quantities, and all but a few variations are sold out. 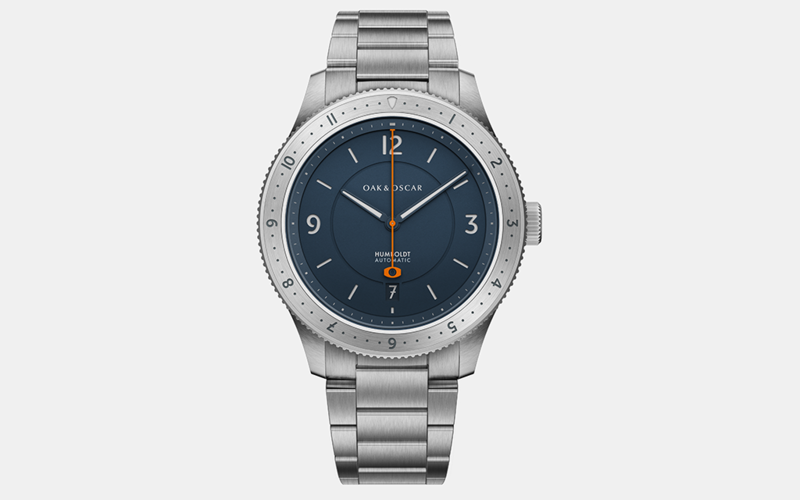 At 40mm in diameter, the Humboldt features Oak & Oscar’s trademark blue “sandwich” dial, date window and orange second hand, and a 12-hour rotating bezel that serves as a low-tech GMT function, allowing you to keep time in two zones at once. The Humboldt comes with a humble 20 meters of water resistance and sports drilled lugs for easy strap changing. And speaking of straps, it comes on a handsome brown Horween leather number, made right here in Chicago. Also available from the brand for the first time is a steel bracelet that starts out at 20mm and tapers to a comfortable 16mm at the clasp. On the strap, the watch will sell for $1,550 (or $1,450 if you preorder); on bracelet, it’ll sell for $1,750 (or $1,650 preorder). The first editions will ship in late spring.